A dynamic player on the field, a master tactician and highly skilled in the role of the modern number 8, Michael Leitch is one of the greats of Japan rugby. Michael turns in consistently outstanding performances which are complemented by his leadership skills and professionalism. Heralding from the conveyor belt of rugby talent that is New Zealand, Michael Leitch has played a large part in improving the competitiveness of the Japanese rugby team, culminating in their greatest victory ever – over the Springboks in the 2015 Rugby World Cup. Michael was raised in Christchurch, and attended St Bede’s College. In 2014 aged fifteen he took advantage of the school’s exchange program to enrol at Sapporo Yamanote High School where he became fluent in both Japanese and rugby. While still a student at Tokai University Michael debuted for the Japanese national team in 2008 at the tender age of 20 He signed to Toshiba Brave Lupus in 2011 and later that same year put in a string of standout performances at the 2011 World Cup. In his debut Top League season he was awarded the ‘Revelation of the Season’, and was named in the League’s ‘Team of the Season’. He followed this up with inclusion in the Team of the Season in each season thereafter. It was at this stage that, after being noticed at the 2011 RWC, Leitch was included in the wider training squad of the champion 2013 Chiefs franchise in Hamilton, New Zealand. In 2008, Michael was selected for the Japan Sevens and under-20s and went on to make his full test debut against the USA in Nagoya that November. Signs for Toshiba Brave Lupus and caps off the year at the 2011 Rugby World Cup in New Zealand, winning praise for his man-of-the-match performances. Selected for Chiefs but injury denies debut. Appointed captain of Japan's national rugby team. Selected and debuts for Chiefs in Super Rugby and goes on to be awarded Rookie of the Year. Michael leads Japan to one of the all-time great sporting upsets against overwhelming favourites South Africa at the 2015 Rugby World Cup. Selected in the RWC Best 15 as No.8 and Captain. In 2016 Michael continued his stellar form for Chiefs making the Super Rugby finals losing narrowly to the eventual champions the Hurricanes 25-9 in the semi. After playing 81 continuous games since 2013 for Japan, Toshiba and the Chiefs Michael made himself unavailable for the Japan national side to recover from the toll of playing a never ending global season with the intent to return in 2017. In 2017 Michael continued to play for the Chiefs in the Super Rugby competition losing to the champion Crusaders side 27-13 in the semi-final. Michael also returned to the Japan Brave Blossoms in the June series against Romania and Ireland. His outstanding form and leadership in that series led him to retain the captaincy for the November series where Japan had good success drawing with France 23- 23 in Paris. Head Coach Jamie Joseph later stated Michael would be the Japan captain through to the 2019 Rugby World Cup in Japan. In 2018 Michael joined the Japan based Super Rugby side the Sunwolves, his performances and leadership having an immediate effect on the team. The Sunwolves enjoyed their best season in their short history with wins over the Reds, Stormers and the Bulls. On the international stage Michael captained the Japan team to wins over Italy and Georgia in the June series at home and in November the Brave Blossoms hosted the World XV and the All Blacks in Tokyo and played England and Russia in London. Injury prevented him from playing for the Chiefs that year, but when the chance came again in 2015 he leapt at it. His first season in Chiefs colours saw him again achieve high honours, being crowned Rookie of the Season. Michael’s two years excelling in the white hot cauldron of Super Rugby, competing alongside and against the world’s best week in and week out, has seen his abilities and leadership flourish. It was indeed his increasingly impressive leadership and decision-making that helped bring about Japan’s memorable victory over the mighty Springboks at the World Cup. Michael Leitch continues to perform consistently at rugby’s highest level, with continued involvement in Super Rugby with the Sunwolves, and Top League with Toshiba. This, coupled with his tenure as captain of the national team Michael Leitch now ranks as one of Japan rugby's all-time greats. Outside of rugby Michael is the owner of a popular cafe in Tokyo called Cafe +64 named after the NZ calling code. Michael being from NZ has a passion for the outdoors, hunting, fishing, trekking and his most favourite, eeling. Michael also likes to help others and does this through his charity work in the community by creating opportunities for people. 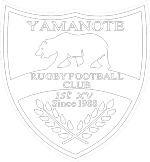 He still remains close to Yamanote High school where his rugby career first began and has set up a trust for the international students of the school. Michael understands that the position he is in allows him to make a small difference to the world.